How do you feel about hacking to save your life? 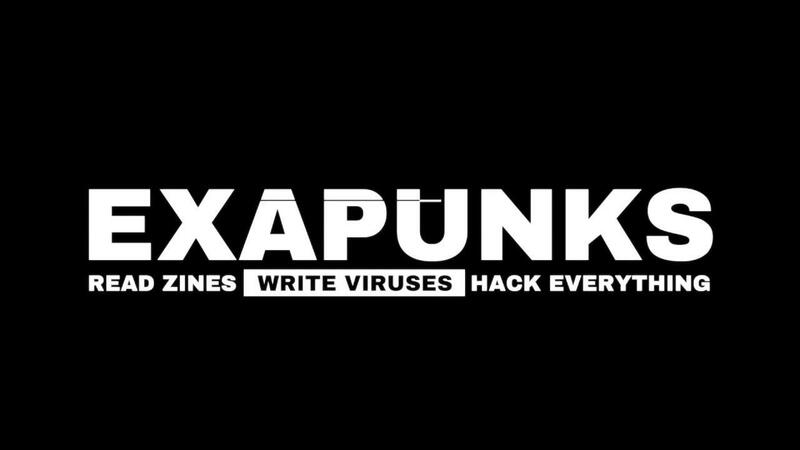 In EXAPUNKS it's 1997 again and you've made a deal for one hack, one dose to prevent dying from the phage. As a massive fan of their previous game, Opus Magnum, I'm very interested to see what exactly they will be frying my brain with this time. They also made SHENZHEN I/O, TIS-100, and more! I always find their games have such incredible design to them, EXAPUNKS continues that feeling from the trailer. What's interesting, is that the game will require you to read zines (a sort of magazine) and they have a set of limited edition printed copies available from the official site. It's Early Access, although it seems it won't be for long. They're estimating it will only remain there for a few months, so they can act on feedback like they did with previous titles. As it is right now, Zachtronics say EXAPUNKS is functionally complete with a full single-player campaign, a puzzle editor, Steam Workshop support and so on. It's currently only available on Steam for £15.49/$19.99. It's got cut scenes and no harsh restrictions on lines of code per module, while the language is a bit more complex than TIS-100. So it's somewhere in between Opus Magnum, TIS-100 and Shenzen I/O. Also: it is amazing how fast Zachtronics is shaping the programming puzzles into new interesting forms. They carved their niche and rule supreme. This is on my wish list for sure, so cool. I loved TIS-100. I shouldn't get this. I don't have enough time. I want this. I'm getting this! Gobo It's got cut scenes and no harsh restrictions on lines of code per module, while the language is a bit more complex than TIS-100. So it's somewhere in between Opus Magnum, TIS-100 and Shenzen I/O. Assuming that I have no programming skills. Do you think TIS-100 or Shenzen I/O or Exapunks is hard to play? The concepts are fairly easy to learn and at least with TIS-100 the architecture of the machine is so foreign, I think you will not have a massive skill gap between someone who knows programming and someone coming in with no prior experience. Overall from what I've seen (I've only played TIS-100, no hands-on experience with Shenzen or Exapunks) I think if you just read the manual, and read it well, you should be good to go. Rest is mostly about putting your brain to work and looking up some references from said manuals. Samsai The concepts are fairly easy to learn and at least with TIS-100 the architecture of the machine is so foreign, I think you will not have a massive skill gap between someone who knows programming and someone coming in with no prior experience. The puzzles really are *puzzles* first, and programming challenges second; Zach says as much in several (very interesting & fun) talks and interviews on youtube. To that, I'd add that in trying to solve the puzzle (how do I get this outcome, given these limitations) you get to figure out basic programming concepts *for yourself*, while thinking MECHANICALLY (like 'The Incredible Machine', but with numbers) about how 'things' come in, how they're pushed out, etc. I think this partly accounts for the appeal of the games -- to give a really simple example, in Shenzhen I/O, you need not have a prior understanding of the concept of a stack, before coming up with the idea of an expanse of RAM that works like a stack, as you're trying to capture the input of a wire and send it in the reverse order over another wire. Similarly for various datatypes, etc. theghost Assuming that I have no programming skills. Do you think TIS-100 or Shenzen I/O or Exapunks is hard to play? While Zachtronics is leading the genre, I think Human Ressource Machine could be a better entry point for programming puzzles. Just got it, it's really cool. By now Zachtronics have established their own special brand of the game, and this game sure belongs. I wonder if it is worth getting now or if I should wait for it to finish early access? buenaventura I wonder if it is worth getting now or if I should wait for it to finish early access? I think they're using early access as a kind of beta phase. It seems it's working quite well already, so I'd expect a release soon. Whatever that means for your decision.